Four Sided Fantasy is a 2D puzzle platformer with a unique mechanic. The game features a screen wrapping element wherein if you walk to the left side of the screen, you appear on the right side of the screen. This works for top to bottom as well. This is activated by pressing a button, so knowing when to wrap the screen is crucial to success. The screen wrapping mechanic is the main centerpiece of Four Sided Fantasy and other elements appear, but it all revolves around screen wrapping. With only taking about 2 hours to complete, it is over fairly quickly, but the end product is worth partaking. 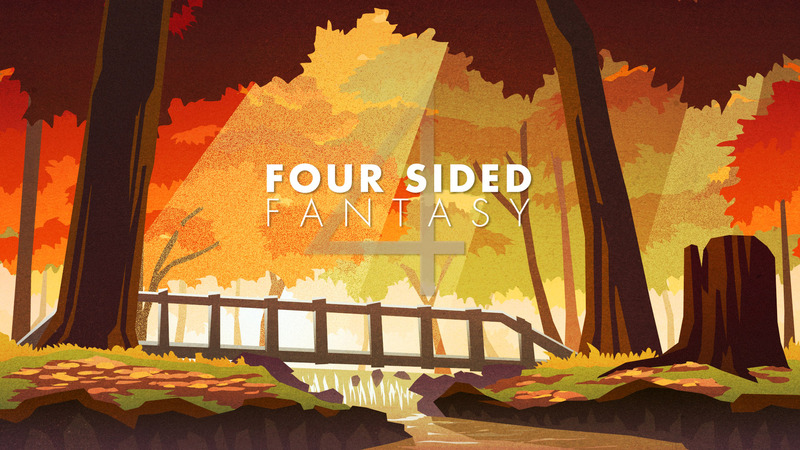 There isn’t really a story or premise in Four Sided Fantasy. Each level of the game takes place during the various seasons. Each new season adds a new twist on the screen wrapping mechanic. Some seasons tended to be easier than others for me, and some seasons don’t take very long to get through. In most sections, the goal is to get your character from one end to the other, but soon after, there will be platforms that you’ll need to move to new areas using screen wrapping. Some areas will be locked and will need to be unlocked with a key (which resembles a battery), to progress. 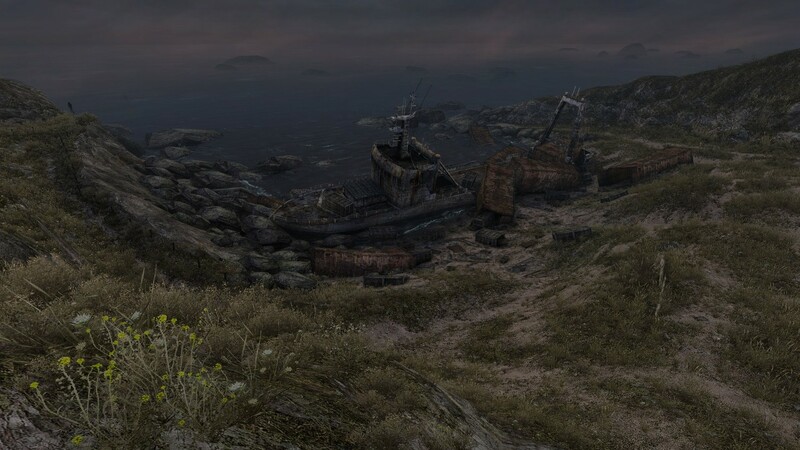 One new element that the game incorporates, is background and foreground. Once you move to the bottom of one end of the screen in the foreground, you’ll appear in the background. It sounds simple, but the puzzles that are incorporated are smart and thoughtful. One of the most impressive things with Four Sided Fantasy is its style. When wrapping the screen and even in the pause menu, a VCR style menu pops up, and snowy-picture blocks act as obstacles and areas that will reset the character at the latest checkpoint. The title screen evokes an old school feel with its VCR and CRT TV look. The visuals for each season look distinct, but there isn’t much that has appeared to change other than the colors of the environments. The winter season stands out the most impressive with its calmness and subtle soundtrack. Even though the overall game is relatively short, there is a new game plus mode for you to play through that changes the gameplay up just slightly. Four Sided Fantasy isn’t the most memorable thing you’ll play, but there is enjoyment to be had. Each new mechanic that is introduced is smartly implemented, and it feels as if every possible puzzle combination has been achieved throughout gameplay.